Derek Clarke......fond memories of a fleeting first-team career at Molineux. Derek Clarke has described his brief Wolves first-team career as a tale of two managers and revealed that he broke down in tears when discarded by Bill McGarry. The 59-year-old third eldest of the famous five footballing brothers from Short Heath in Willenhall can’t speak highly enough of Ronnie Allen, the man who bought him for £25,000 from Walsall in 1968. But life was different altogether for him under McGarry, who brought the curtain down on his five-game senior career at Molineux by selling him to Oxford just over two years later. “Gerry Summers, the assistant manager to Ronnie at Wolves, had worked with me at Walsall and knew what I could do,” Clarke says. “As Allan Clarke’s brother and another forward, I probably had a head start but I couldn’t have wished for anyone better than Ronnie because he thought a lot of me. “He sat next to me once on the coach to a reserve game, to Bury I think, and said he had just sold Alun Evans to Liverpool and believed I’d become a better player than Alun. “I was on top of the world and went out and scored twice. Then he gave me a peg in the dressing room between Derek Dougan and Peter Knowles. 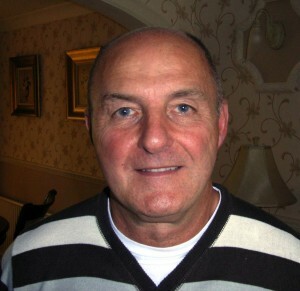 Clarke made his senior debut in August, 1968 as a substitute at home to Stoke, against whom he was also given his first start in the return seven months later. But the change of manager in the meantime did his career no good, although he made two more appearances from the bench that season and then had a handful of outings when Wolves won a tournament in the USA in the summer of 1969. “When Ronnie left, he came in and said to the lads: I’ve just done my last good job as manager of Wolves……I’ve signed a lad called Kenny Hibbitt. Unfortunately, Bill didn’t rate me as highly,” Clarke added. “I saw difficult times ahead when he took me out of the first-team dressing room and put John Richards in there instead. And he called everyone by their surname except Mike Bailey, who he referred to as Michael. “My best Wolves game was under McGarry when I made the goals for Mike and David Woodfield in a draw against Tottenham in 1969-70. “We were at Stoke the following week and all my family came to watch me, including my brother Frank and his wife because he had no game. All the lads were saying in training that I’d be the first name on the team sheet because I’d done well against Spurs but I wasn’t even on the bench. Jim McCalliog, who was a good player, had the no 9 shirt instead. Clarke scored 40 goals in close to six years at the Manor Ground and squeezed in another highlight when switching to Orient and achieving the unlikely feat of playing for them in a (losing) FA Cup semi-final against Arsenal at Stamford Bridge in 1978. 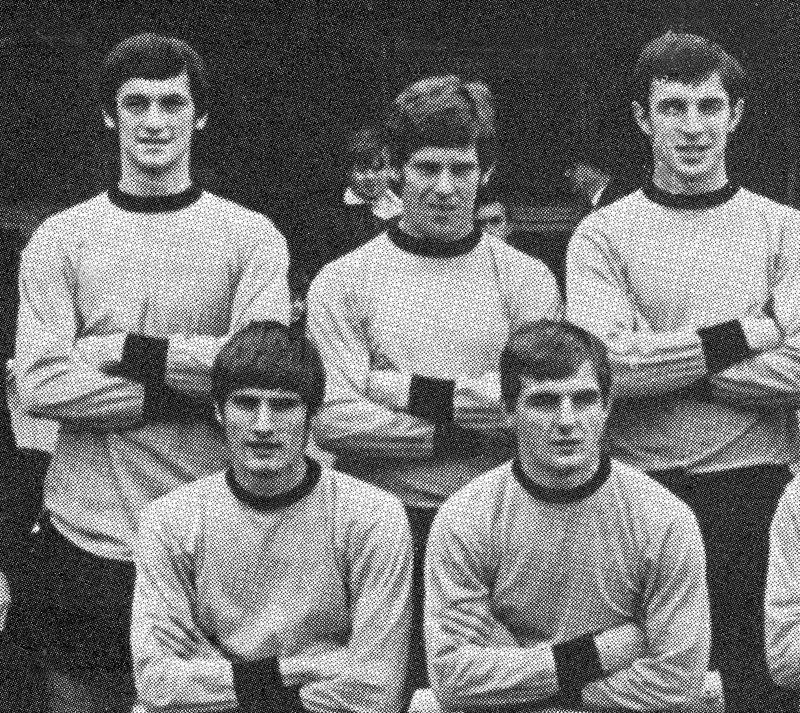 Derek Clarke, front right, in the Wolves reserve side of 1969-70. Also pictured are Kenny Hibbitt, Bernard Shaw, Gerry Taylor and John Farrington. The former England youth squad member subsequently combined some coaching work with a share in a paving business which helped keep him in London for several more years until the family returned to the West Midlands in the mid-1980s. “We’ve always been home birds really and I did some building work at first, then I was on the presses in a factory in Willenhall,” he added. “But I spent 20 years at the same company, starting as a machinist and then doing labouring and lorry driving, before being made redundant there last year. Posted on: Saturday, July 18th, 2009.